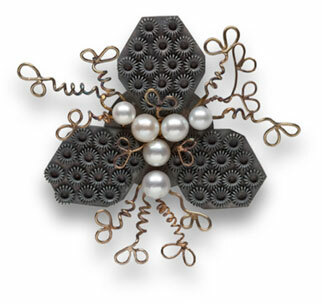 2010, Brooch. sterling, pearls, gold. 5 cm h x 5.3 w x 2 d.